The Brew-in-Mug Extra-fine Tea Infuser with Lid, is complete with an easy grip silicon rimmed stainless-steel lid. The infuser gives you a adept even brew every time, and enables you to brew fine teas such as Rooibos tea to large whole-leaf teas like Oolong tea. It fits in American standard mugs. Flip the lid and it works as an infuser holder. With this infuser, brewing your favorite cup of tea is now easier than ever! Say goodbye to tea bags and enjoy your immaculate cup of tea in style with the stainless steel YOYO tea strainer. Freely swirling tea leaves will release their full potential, like in a Bodum tea pot but on a smaller scale. With a length of 11.7 cm (4.6 inch), it fits into all Bodum mugs. The lid is dual purpose. If put upside-down onto the strainer it keeps the water warm while the tea is brewing, if flipped after the brewing it can be used as a saucer for the tea infuser. The hole on top of the tea infuser allows for easy storage by just hanging it up. All parts are dishwasher safe. The infuser that will fit a wide array of teacups and teapots! The Extra-fine Tea Infuser with Porcelain Dish Set is complete with unique designed handles that allows you to steep all varieties of loose-leaf tea in your esteemed teacup or teapot. With this infuser, brewing your admired cup is now easier than ever! Genius! 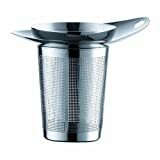 This individual tea infuser is a fine mesh basket and lid that fits into your cup, travel mug or tea pot. Use the lid to catch any drips after brew time is complete. 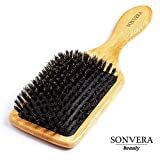 Perfect for use with rooibos and other fine particle blends. Dishwasher safe. This Infuser basket is a convenient way to brew any loose tea or herbal infusion. The depth of this basket allows for great flow-through and gives tea leaves the room needed to fully expand. The basket is made from stainless-steel mesh and has a heat-tolerant plastic frame which fits in any cup, mug or small teapot. Dishwasher safe and will not retain residual flavors. Headphone Jack Adapter Dongle for iPhone Xs/Xs Max/XR/ 8/8 Plus/X (10) / 7/7 Plus Adapter to 3.5mm Splitter Converter Compatible with Listen to Music Adapter Audio and Charge Adaptor Charger. 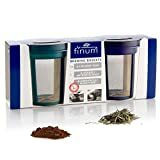 Finum Brewing Basket Given the delicate tissue structure that makes up the filter, the product may be used for fine teas and coffee alike. 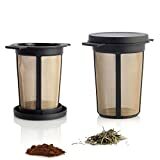 The combination of excellent plastic and stainless steel allow the user to have an aromatic enjoyable experience while the tea lid maintains the tea warmer for a longer period of time. Once the brew is complete, the lid can simply be flipped over and used as a drip tray for the used tea filter. 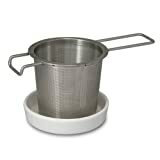 Mesh infuser suitable for all teas. 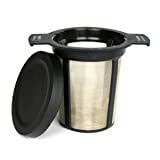 This microfine stainless steel filter sits in mug or tea pot to brew any loose tea. We found these at the World Tea Expo and tell all our beloved tea guests about it. 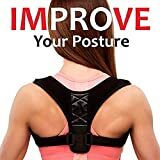 Once you have one, you won't know how you lived without it! You'll never use tea bags again. This is the Large Filter. The large filter width is 2 5/8 inches and the height is 3 7/8 inches. Finum Goldton Filters Given the delicate tissue structure that makes up the filter, the product may be used for fine teas and coffee alike. 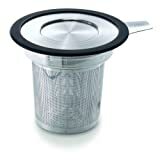 The combination of excellent plastic and stainless steel allow the user to have an aromatic enjoyable experience while the tea lid maintains the tea warmer for a longer period of time. Once the brew is complete, the lid can simply be flipped over and used as a drip tray for the used tea filter. 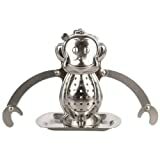 Use this adorable monkey stainless steel tea infuser to prepare your prized loose tea. His arms and hands move to create a custom fit to your admired tea mug. Rest him on the included drip tray when your tea is steeped. Easily opens and snaps close.